LifeFit's personal training is a little different than you are use to at other gyms. With every personal training session you will have a reserved private suite with your industry leading certified trainer. 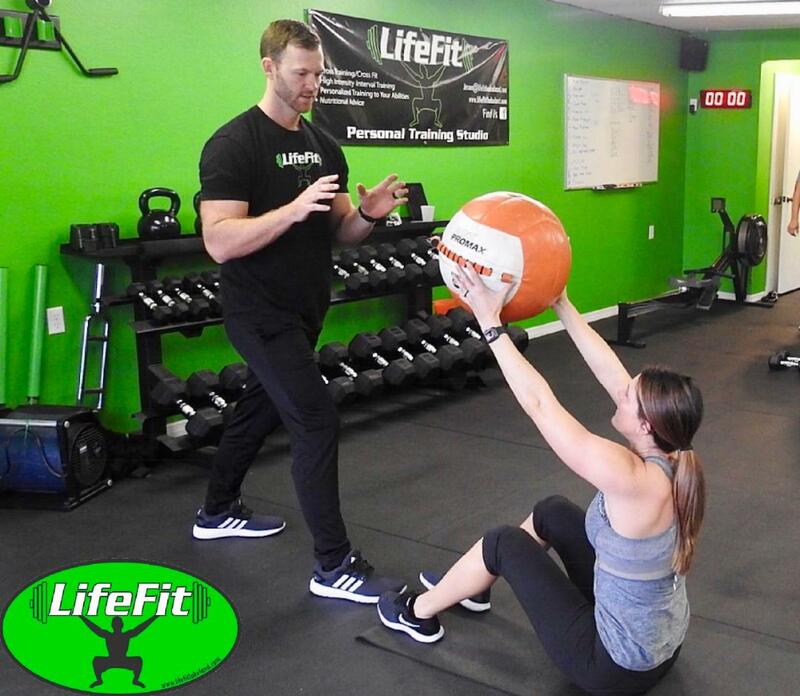 LifeFit's certified personal trainers work with you to establish specific goals and needs to create a customized plan specifically for you that all but guarantees success. Every workout is designed prior to your session, so that when you arrive at the studio you can start working out right away. Typically your trainers will have you warm-up with dynamic stretching and and a few minutes of cardio in a private fitness suite. At LifeFit, you never have to worry about wasting time waiting for someone to finish using an exercise machine. The entire session is organized so that your time at the studio is focused on your specific goals. Your workouts will be challenging but fun, difficult but do-able. you will always walk out feel accomplished and energized! If weight managment is at all part of your goal we will take weight measurements ever week and every 6-8 weeks LifeFit will take body composition and measurements that shows your individual progress relative to your specific health and fitness goals. During your workout sessions, we not only give you exercise-specific direction, but also explain the reasons behind our methods so you’ll know exactly what we’re doing and why.